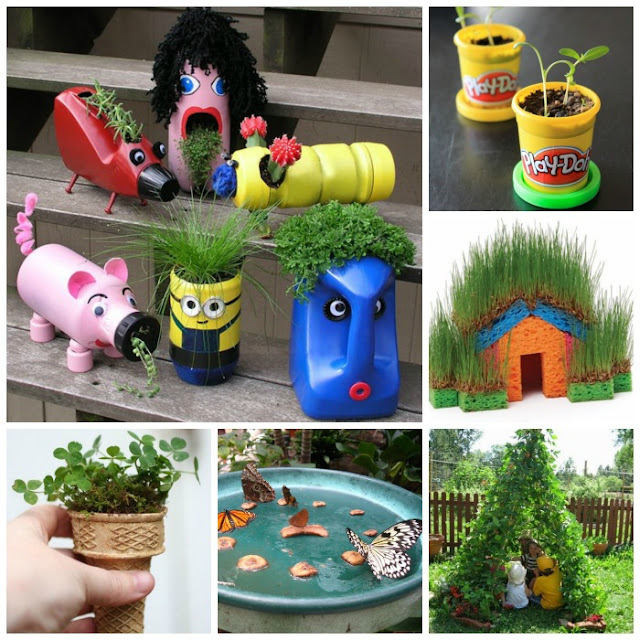 Grass is the perfect seed to grow with kids, as it is easy to sprout & grows quickly. 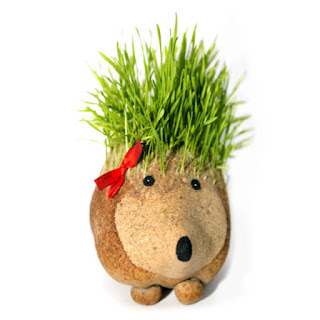 There are many crafty ways to grow grass, with one of the most adorably loved methods being to grow grass heads. 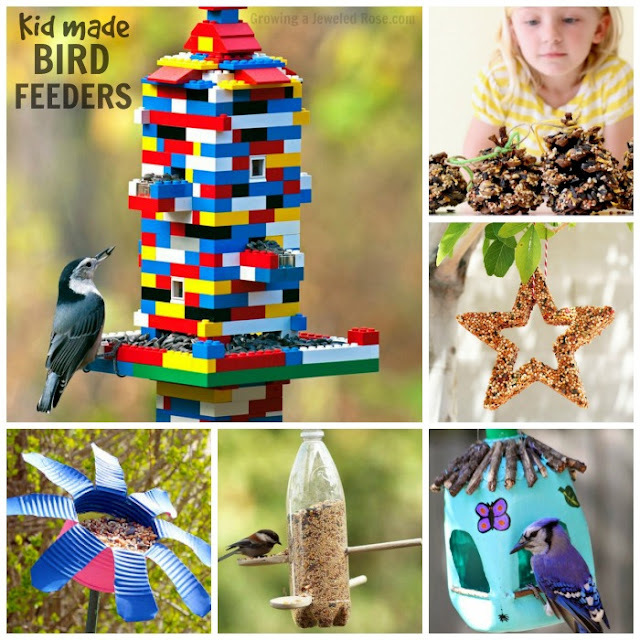 For all the best kids activities follow us on Pinterest! This activity is great for kids of all ages, the supplies needed are minimal, and kids can even style the growing heads of hair! Read on for the easy tutorial. 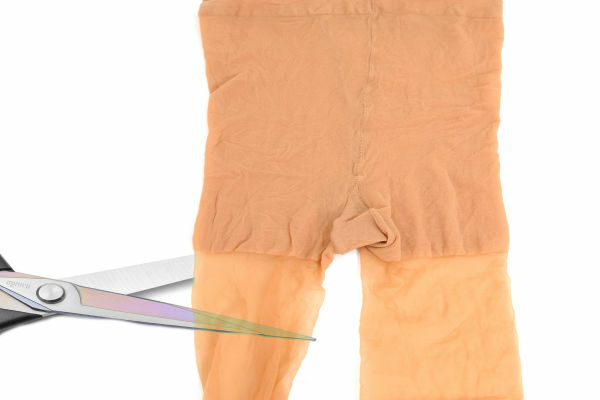 Begin by cutting the top section off of a pair of pantyhose so that you are left with two separate, nylon stockings. 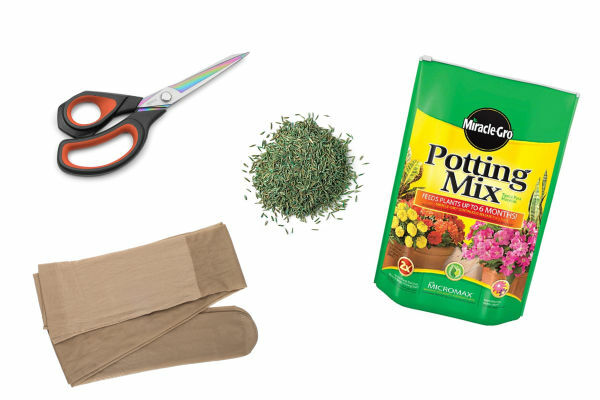 Place 2-3 tablespoons of grass seed into each stocking. 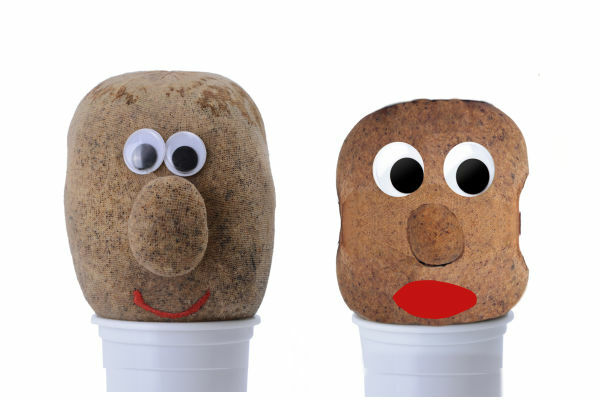 Add soil until the desired head-size is achieved. Secure the stocking(s) by tying a knot in the end, leaving any access stocking attached. 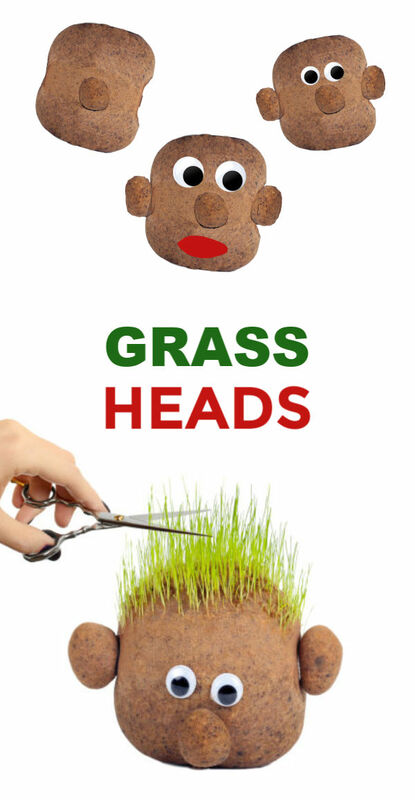 It is now time to decorate your grass heads! You can use an array of craft supplies for this. 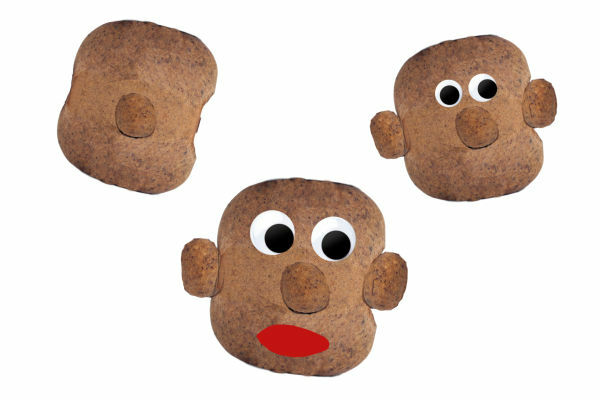 Give kids googly eyes, felt, pipe cleaners & more. To make a nose and ears we pinched a bit of dirt into a ball in the desired places and then secured it with an elastic band. 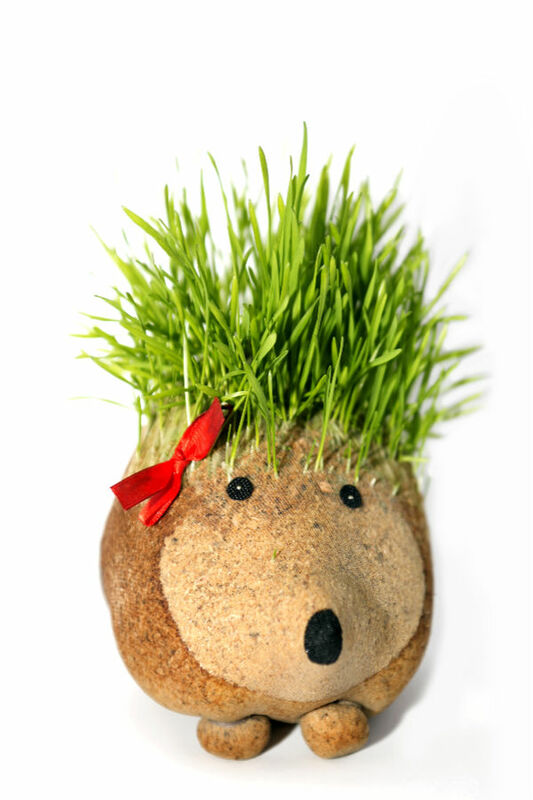 Once kids are done decorating their grass head pet you will want to allow the glue to dry. 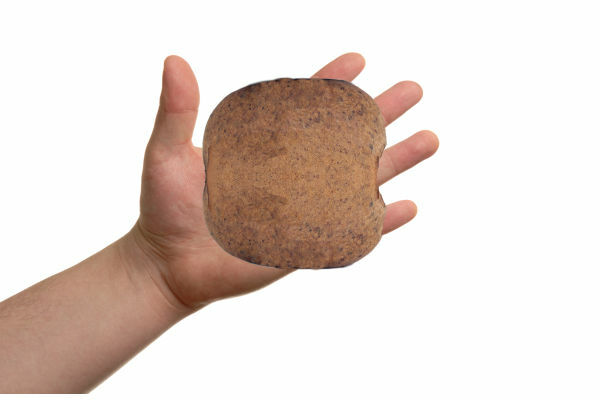 We used hot glue, but other glue varieties might also work. 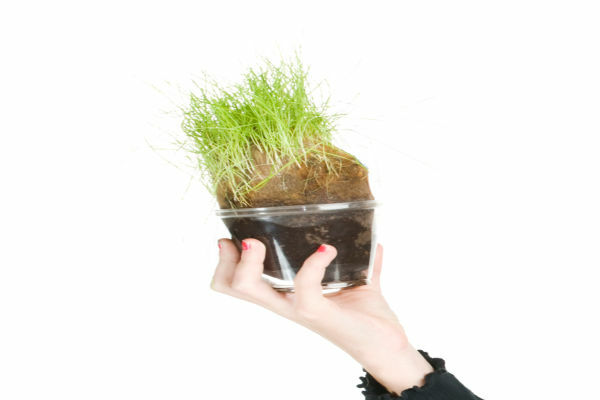 Once dry, carefully saturate the grass head under running water, and then place it into a cup in a sunny window. Be sure to place the access stocking string into the cup so that it can absorb water for the grass head. Observe your grass head over the next several days. Add water to the cups as needed. Sprinkle water on top of the grass head to help keep it saturated if it happens to become dry. Just be sure not to over-saturate the seed, as that could produce mold. We checked on our grass heads daily, recording any noticeable changes. 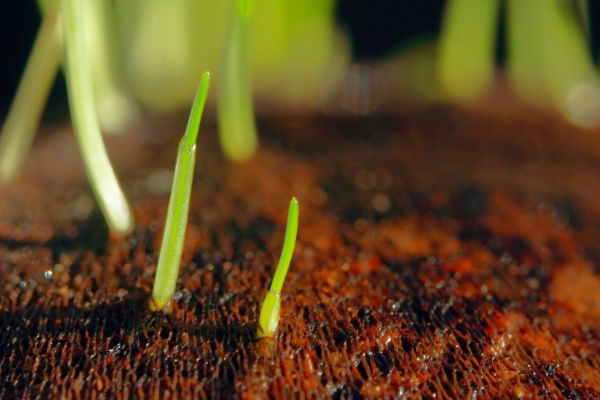 After just a few days we began to see grass hairs taking sprout! After a week we were well on our way to a full head of hair! And after two weeks of growth our grass heads were ready to be styled! 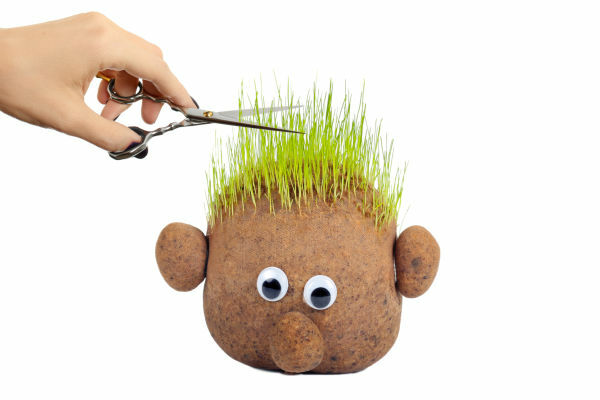 Once kids are happy with the growth of their grass heads they can cut & style their hair as desired. Rosie & Jewel absolutely loved this & had so much fun! 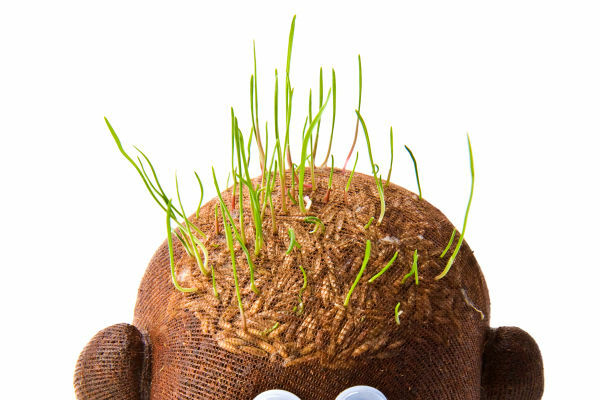 Open up a grass head hair salon. Grow a whole garden of silly grass people. 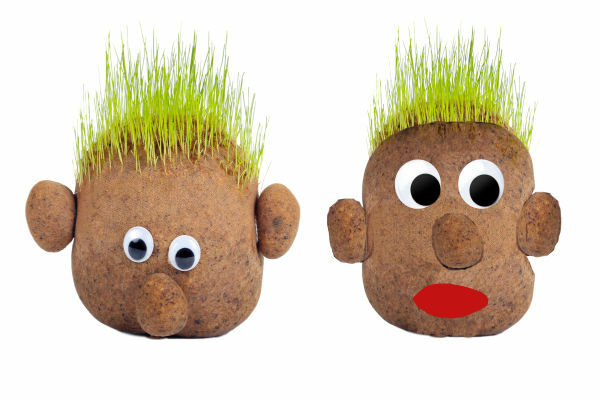 What other types of grass heads might you be able to make? With a bit of creativity the possibilities are endless! Click the links above to find out! 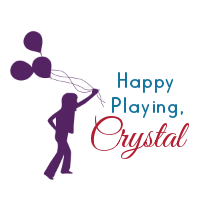 If you enjoyed this post please pin it and share it on Facebook! Don't forget to follow us on Pinterest & Facebook!